Bueger, Christian & Tim Edmunds. 2017. Beyond Seablindness. A new agenda for maritime security studies, International Affairs93(6): 1293–1311, doi: 10.1093/ia/iix174 [open access]. Bueger, Christian & Jan Stockbruegger. 2016. Pirates, Drugs and Navies. Why the Western Indian Ocean needs a new security architecture, RUSI Journal 161(5): 46-52, doi: 10.1080/03071847.2016.1253375, [open access]. Bueger, Christian. 2012. Drops in the Bucket: A Review of Onshore Responses to Somali Piracy, WMU Journal of Maritime Affairs 15(1) Special Issue on ‘Piracy at Sea’, edited by Sam P. Menefee and Max Meija, 15-31, 2012, doi: 10.1007/s13437-012-0022-5. Sandoz, John F. 2012. “Maritime Security Sector Reform.” United States Institute of Peace Working Paper 306, Washington: United States Institute of Peace. Shemella, Paul. 2016. “Integrated Strategies Against Maritime Violence.” In Global Responses to Maritime Violence, ed. Paul Shemella. Stanford: Stanford University Press, 71–87. Shemella, Paul. 2016. “Assessing Maritime Governance.” In Global Responses to Maritime Violence, ed. Paul Shemella. Stanford: Stanford University Press, 88–104. United States Government. 2010. Maritime Security Sector Reform. Washington, D.C.: US Government. available at http://www.state.gov/t/pm/rls/othr/misc/151106.htm. Baker, Michael L. 2011. “Toward an African Maritime Economy: Empowering the African Union to Revolutionize the African Maritime Sector.” Naval War College Review 64(2): 39–62. Bateman, Sam. 2011. “Solving the ‘ Wicked Problems ’ of Maritime Security: Are Regional Forums up to the Task?” Contemporary Southeast Asia 33(1): 1–28. Bergenas, Johan, and Ariella Knight. 2016. Secure Oceans. Collaborative Policy and Technology Recommendations for the World’s Largest Crime Scene. Washington, D.C.: Stimson Center. de Coning, Eve, and Emma Witbooi. 2015. “Towards a New ’fisheries Crime’ Paradigm: South Africa as an Illustrative Example.” Marine Policy 60: 208–15. Ehrhart, Hans-Georg, and Kerstin Petretto. 2014. “Stabilizing Somalia: Can the EU’s Comprehensive Approach Work?” European Security 23(2): 179–94. Fantaye, Demessie. 2014. Regional Approaches to Maritime Security in the Horn of Africa. Addis Ababa: Friedrich Ebert Stiftung. Forbes, Andrew, ed. 2010. Maritime Capacity Building in the Asia-Pacific Region. Canberra: Sea Power Centre Australia. Hong, Nong. 2012. 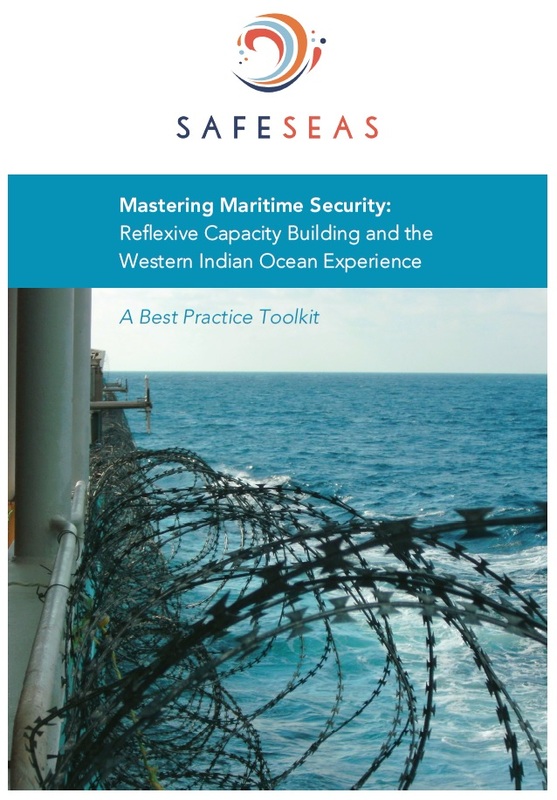 “Charting a Maritime Security Cooperation Mechanism in the Indian Ocean: Sharing Responsibilities among Littoral States and User States.” Strategic Analysis 36(3): 400–412. Kelleher, Kieran. 2015. “Building the Blue Economy in the WIO Region.” Working paper presented at the Blue Economy and Oceans Governance Workshop of the 8th Conference of Parties Meeting for the Nairobi Convention, 22-24 June 2015, Mahe, Seychelles. Khalid, Nazery. 2009. “With a Little Help from My Friends: Maritime Capacity-Building Measures in the Straits of Malacca.” Contemporary Southeast Asia 31(3): 424–46. Klein, Natalie. 2011. Maritime Security and the Law of the Sea. Oxford & New York: Oxford University Press. Kraska, James, and Raul Pedrozo. 2013. International Maritime Security Law. Leiden & Boston: Martinus Nijhoff. Potgieter, Thean. 2012. “Maritime Security in the Indian Ocean: Strategic Setting and Features.” Institute for Security Studies Working Paper (236), Pretoria: Institute for Security Studies. Rao, P.V. 2010. “Indian Ocean Maritime Security Cooperation: The Employment of Navies and Other Maritime Forces.” Journal of the Indian Ocean Region 6(1): 129–37. Saint-Mézard, Isabelle. 2015. The French Strategy in the Indian Ocean and the Potential for Indo-French Cooperation. RSIS Policy Report, March 2015, Singapore: RSIS.